Vivo Signs is one of Bangalore’s top signage and display solutions providing company. It has been years of service for us in the field. Quality work is focused on by us in serving our clients. 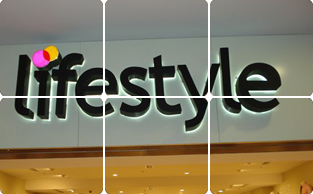 We offer signage solutions which includes developing custom signs, neon signs, glow sign boards, led letters, sign consultation, large format wall graphics print, way finding, signage, totems, pylons, backlight signage, workstation signage, corporate signage and internal signage. We have groups of skilled workers specializing in various works and provide professional level of service for our customers. Our aim has been in catering top quality services for our customers/clients. Client list of ours is long covering multiple industries. We are always looking to offer better client servicing by constantly enhancing our services and work force.